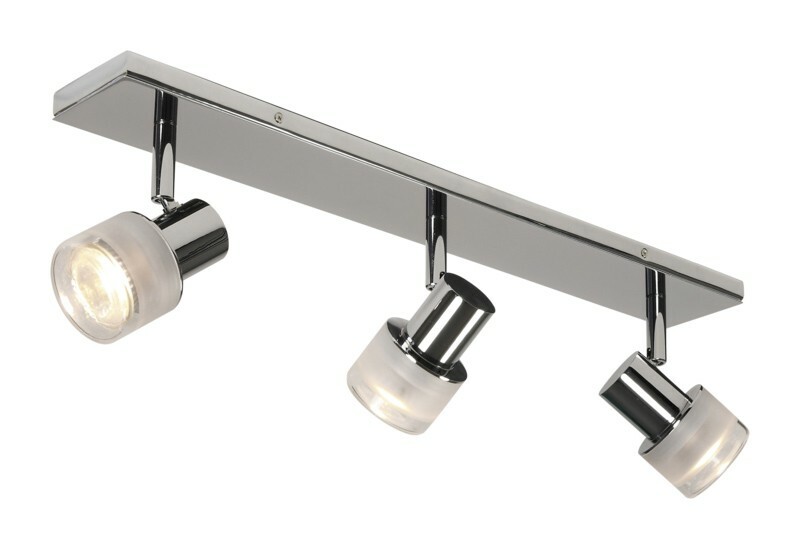 Featuring a polished chrome finish, this three-light bar ceiling mounted spotlight lighting fixture is sleek, attractive and durable for any room in your home. The frosted cylindrical glass bathes your home in elegant and romantically soft lighting which will illuminate every corner of your room. All three spotlights on this ceiling light fixture are amiable to ensure your room's lighting requirements are being met.